Saiyedna ‘Ali Shamsuddin bin Saiyedi Ibrahim ash-Shaheed (aq), the grandson of 28th Da’i al-Mutlaq Saiyedna Shaikh Adam Safiyuddin ascended to the throne of ad-Da’wat ul-Haadiyah as 29th Da’i al-Mutlaq after latter’s death on 7th Rajab 1030 AH/27 May 1621 AD in Ahmedabad through the tradition of the propagation of Nass. Since the second half of the 20th century AD, when the books by modern scholarship on Isma’ili studies and research based on its doctrines and history started rolling out with more and more historians getting involved into it, some of the historic facts revolving around the rightful appointment and proof of the 29th Da’i Saiyedna ‘Ali Shamsuddin bin Ibrahim got altered, fabricated and distorted due to the biased secondary sources. 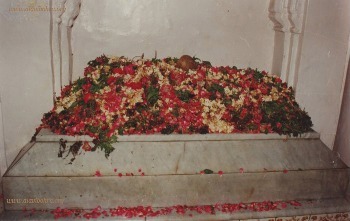 Truly speaking, the need of presenting in person of the 29th Da’i Saiyedna ‘Ali Shamsuddin bin Ibrahim in the court of Mughal Emperor Jahangir has not taken place as, the former with the handful of his staunch followers was satisfied and the truth of his appointment as a Da’i recognized by his adherents and refuted by his opponents, convinced him that he will manage to safeguard the community by the right of Da’iship which was transferred to him by his grandfather. There was no need for him to furnish the proof of his appointment or arguments in public. As he already knew that all those who stood in his support initially deserted him for worldly gains and went openly to his opponent side but personally never denied the rightfulness of Saiyedna ‘Ali Shamsuddin. Because, for such people fear of harm always loomed large for supporting Saiyedna ‘Ali Shamsuddin publicly. On the same ground, Saiyedna ‘Ali Shamsuddin bin Ibrahim took the safe path and secluded himself as the head of the nascent community and waited for the affairs and energy to subside and settle. But no sooner did ‘Abd ut Taiyeb Zakiyuddin died in 1031 AH/1622 AD, due to the illness emerged by the paralytic stroke that debarred him from performing routine religious obligatory duties, within 8 months of his leadership after the death of 28th Da’i, and the seat of their headship got transferred to Yemen from 1031-1042 AH/1622-1634 AD, than Saiyedna ‘Ali Shamsuddin bin Ibrahim sensed safe and secure to reestablish his right as the true successor of his grandfather. Meanwhile the leadership of majority Bohras weakened in Ahmedabad, the hostile forces dispersed then he was able to gain some more supporters and managed to systematize the affairs of ad-Da’wat ul-Haadiyat ul-‘Alaviyah. Saiyedna ‘Ali Shamsuddin was Mazoon during the time of 28th Da’i and he himself was guardian and caretaker of the Da’wat library and having attained the second highest religious status in the Spiritual Hierarchy of Da’wat and he was well versed in all the branches of knowledge and was appointed as mufeed or instructor amongst the Hudood ud-Da’wat, gave personal audience to the pupils who came to acquire religious sectarian Bohra literature by the orders of his grandfather. Among the pupils, ‘Abd ut Taiyeb Zakiyuddin was one of them who studied books on Isma’ili jurisprudence such as Kitaab ut-Tahaarah. Saiyedna ‘Ali Shamsuddin was conferred Nass (an appointment of vicegerent through clear declaration) by 28th Da’i, then how could he be Mazoon of ‘Abd ut Taiyeb Zakiyuddin for 3 years as quoted from unauthorized and unreliable sources at many places consisting of distorted historical stories. 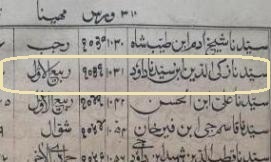 Initially this account could be found in Muntaze’ ul-Akhbaar by Qutbuddin Burhaanpuri in 1231 AH/1816 AD exactly after 2oo years when the split between Dawoodis and Alavis occurred in Ahmedabad. Prior to this work there are many primary sources in which completely different historic accounts could be found. Due to the high secrecy of the studies of Da’wat literature, the truth of such historical facts surrounding the Da’wat of Saiyedna ‘Ali Shamsuddin remained only within the internal circles of Hudood ud-Da’wat. It was neither copied, printed, published nor discussed except among close associates of a Da’i. This is the reason why it has remained in wraps since centuries and never came up among the literary circles of historians. On the contrary, the historic accounts between 925-1075 AH/1519-1665 AD presented by the majority Bohra groups got unquestionably accepted by the masses and so by the historians. The historic blunders that were intentionally fabricated, framed and propagated by the majority could be found even today in the books pertaining to Isma’ili-Taiyebi Indian Bohra History. Alavi Bohras stood mute spectators to all this ugly game of power. The cognition of a true historian is justify the subject matter with utmost scrutiny and then arrive to any conclusion after confirming the true accounts and also consulting both the factions under question in sensitive issues like propagation of Nass. 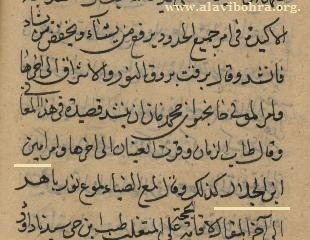 Looking into the remarks of some historians who tends to say that, Saiyedna ‘Ali Shamsuddin founded the splinter group of Dawoodi Bohras, from his name, as Alavi Bohras in 1034 AH/1625 AD, is baseless. They seldom understand the fact that, Alavi Bohras are basically Dawoodis as they too believe in the Da’wat of 26th and 27th Da’is, both “Dawood”. But to make their identity clear and to distinguish themselves from majority Bohra group, the followers of Saiyedna ‘Ali Shamsuddin came to be known as Alavi Bohras. 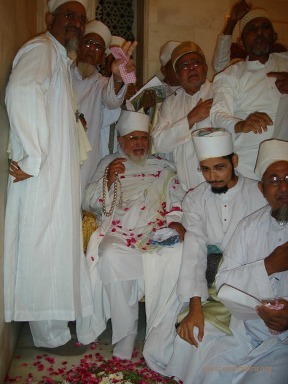 The majority Bohra group clinged to the old name and became known as Dawoodi Bohras. The line of succession of Da’is of Alavi Bohras and their spiritual institution is totally different from 1030 AH/1621 AD onwards and they have never been a sub-group of any Bohras. The name “al-Jamaa’at ud-Dawoodiyat il-‘Alaviyah”, is coined by 31st Da’i Saiyedna Hasan Badruddin in his anthology. Nevertheless, the mosque (now Burhani Masjid) of 28th da’i was adjacent to the place (tomb) of his and was under the ownership and control of Saiyedna ‘Ali Shamsuddin, where he and his followers offered prayers for years together and came to the tomb for ceremonial offerings. After the schism, this was the reason why Saiyedna ‘Ali Shamsuddin was buried besides the grave of his grandfather in the same mausoleum. This grave was demolished by the graveyard management in 1417 AH/1996 AD by the orders of their superior religious authorities which falls under the Dawoodi Bohra management till date. This crime was done under the pretext of constructing new tomb. But it never happened due to enmity and today the place of the grave is flattened and grounded, although Alavi Bohras still pay respects to Saiyedna ‘Ali Shamsuddin on the same place by offering flowers. 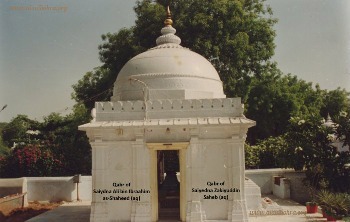 During the last years of the tenure of Saiyedna ‘Ali Shamsuddin in Ahmedabad, Alavi Bohras were targeted, harassed, looted, socially boycotted to the extent that the trade relations were severed when again the seat of leadership of majority Bohras got transferred from Yemen to Ahmedabad in 1042 AH/1634 AD. Saiyedna ‘Ali Shamsuddin during his Da’iship never approached any Mughal authorities to prove his right of legitimacy as he was least bothered about the judgment of Mughal Emperor knowing that Spiritual Sovereignty of his Da’wat is far more supreme than worldly power. How could a Mughal decide and declare him as a Da’i or judge the otherwise!!! 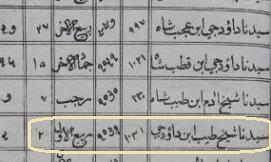 Due to continuous harassment of the majority Bohras and severe persecution, Saiyedna ‘Ali Shamsuddin deputed his Mukaasir Hasan Badruddin to travel to Lahore in the court of the Mughal Emperor Jahagir (1605-1627 AD) and complain about the atrocities subjected upon Alavi Bohras. This complain was favourably endorsed by the Emperor as Saiyedna ‘Ali Shamsuddin had maintained cordial relations on behalf of his grandfather who had stayed there for months to convince the Mughal authorities about the legitimacy and righteousness of 27th da’i Saiyedna Burhanuddin Dawood bin Qutubshah, as the Sulaimani leadership had approached the Mughal courtiers to earn favour in deciding the legality of the da’iship after 26th da’i. Also to appraise about the situation that was built because of the unrest and social discord due to Dawoodi-Sulaimaani Bohras split after 997 AH/1589 AD. This complain was further put into action and the Lahore authorities instructed the same to their counterparts of Gujarat region to act against the perpetrators and do justice to Alavi Bohras. During the martyrdom of Saiyedna ‘Ali Shamsuddin in Ahmedabad in 1046 AH/1637 AD, Saiyedna Hasan Badruddin’s stay was in Lahore to carry out follow-up of his previous complain and then travelled to Kashmir when Emperor Shah Jahan (1628-1658 AD) was in power, hoping to get quick response to protect the lives of Alavis. Before his death, Saiyedna ‘Ali Shamsuddin appointed his uncle Saiyedna Taiyeb Zakiyuddin as his successor and the 30th Da’i of Alavi Bohras. He instructed Saiyedna Taiyeb Zakiyuddin to appoint Hasan Badruddin as his Mazoon e Mutlaq after his arrival and upon his death he should propagate Nass on him and appoint him as 31st da’i. Saiyedna ‘Ali Shamsuddin very well knew the health conditions and was aware of the advanced age of his uncle. But it was due to his untiring and sincere service to safeguard the cause of Da’wat and its followers during the tumultuous time, that Saiyedna ‘Ali Shamsuddin bestowed him the sublime status of Da’i al-Mutlaq. When Hasan Badruddin returned to Ahmedabad, he was deeply shocked on knowing about the plot designed by the enemies that resulted in the martyrdom of Saiyedna ‘Ali Shamsuddin. In spite of the grievous circumstances, he intelligently and persistently handled all the Da’wat affairs being on the status of Mazoon for 11 months during the da’iship of Saiyedna Taiyeb Zakiyuddin who died in 1047 AH/1638 AD. Elevated to the most respected spiritual status of 31st Da’i al-Mutlaq, he kept no stone unturned to get the justice of the killing of his mentor and benefactor, Maulaa Saiyedna ‘Ali Shamsuddin. He again revived all the relations with Mughal authorities by extensively narrating the ground reality about opponent Bohra faction in Ahmedabad and also about unbearable oppression targeted on his small number of followers. He composed poetic verses eulogizing all those Mughal officers who assisted him in getting Qisaas-revenge. The poems relating to life realities, performing of religious duties, elegy, satirical accounts are very well preserved in an anthology named “Diwaan e Hasan”. All the above account is directly taken from the original autograph copy of the Diwaan written between 1048-1080 AH/1638-1669 AD in Ahmedabad. It is due to this persecution and bullying of Alavi Bohras, 31st da’i Saiyedna Hasan Badruddin ordered his Mazoon Saiyedna Jivabhai Ziyauddin to leave Ahmedabad and migrate to Vadodara, as soon as possible when he ascended the throne of Da’wat after him. In 1090 AH/1679 AD Saiyedna Hasan Badruddin died and keeping his words and will, 32nd da’i Saiyedna Jivabhai Ziyauddin migrated to Vadodara in 1110 AH/1699 AD along with his followers. In his anthology "Diwaan e Hasan", Saiyedna Hasan Badruddin wrote for the following personalities admiring their support in establishing the cause of Da’wat ul-Haqq in very grave and hostile situation in Ahmedabad between 1046-1085 AH/1637-1675 AD. They were, Miya Khawj bin Miya Khanji bin Ahmad, Diwaan Haji Shafi’, Mirza Kaazim Khan, Hakim Nawaab A’zam Khan, Saiyed Mustafaa Barodawi, Nawaab Ghayrat Khan, Diwaan ‘Abdullaah, Mohammadji bin Khanji, Miya Taiyeb bin Mohammad, Miyaji bin Miya Chandji, Babuji bin Khan bin Musanji, Miya Adam bin Miya Mohammad bin Khanji, Miya Adam bin Miyaji, Miya Noohji bin Adamji bin ‘Aliji, Miya Yusufji bin Khan, Miya Dawoodji bin Adam, Miya Taaj Khan bin Miya Sulaimaan bin Adam, Hebatullaah bin Miya Taaj Khan, Miya Chandji bin Khan, Miya Taaj Khan bin Hasan bin Ameen, Dawoodji bin Adam, Taiyebji bin Ja’far, Miya Adamji bin Dawood, Nawaab Sha’ista Khan bin Isfahaan, Sultaan Shah Jahan, Sultan Aurangzeb, Diwaan Mir Saabir, Diwaan Khwaaja Firoz Khan, Mirza Mumin, Diwaan-e-Gujarat Mo’iz il-Mulk, Diwaan Rahmat Khan, Miya Firji bin Maamji, Miya Peer bin Malak, Ameenji bin Khanji bin Musanji etc. Who deserves the title of a “Shaheed” (Martyr)? 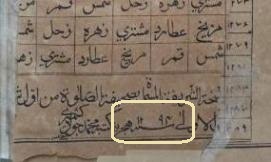 The Rawzah Mubaarakah of Saiyedi Ameenji bin Jalaal (ra) in Ahmedabad stands the witness of the storm of Disbelief and Turmoil sponsored by Hizb ush-Shaitaan (group of devils). The enemies of Da’i ul-Haqq always tried to weaken the foundation of Da’wat and confidence of mumineen by their dirty plots and venomous acts. They have not even spared the ‘azeem khidmat and kirdaar of Saiyedi Ameenji bin Jalaal (ra) in fortifying Da’wah Shareefah through ‘ilm and hikmat. After highlighting the occurrences of manipulation done with the historic facts by the publications of other Bohra communities, the account of Saiyedi Ameenji bin Jalaal (ra) also seem to be shrouded in the mystery. In this article we will make a serious attempt to bring forth the manipulations done with the historical facts about Saiyedi Ameenji bin Jalaal (ra). Role of Saiyedi Ameenji bin Jalaal (ra) is of utmost importance as far as the Haqqaaniyat of Nass of 29th Alavi Da’i Saiyedna ‘Ali bin S Ibraahim ash-Shaheed (aq) is concerned. We would first like to ask certain questions which have arose from the historical accounts found in the publications of other Bohra communities about Saiyedi Ameenji bin Jalaal (aq). In the last part of the article we will emphasize the role of Saiyedi Ameenji bin Jalaal (ra) during the time of Saiyedna ‘Ali saheb (aq) as a prime witness of the Nass done on him by his grand-father Saiyedna Shaikh Aadam Safiyuddin Saheb (aq) in the month of Rajab, 1030 AH. Q1 In the hierarchy of the ranks of Da’wat-e-Haadiyah, was Saiyedi Ameenji bin Jalaal (ra) Mazoon or Mukaasir? And in whose period? Q2 In the hierarchy of the Hudood of 27th Da’i ul-Mutlaq Saiyedna Dawoodji Burhaanuddin bin S Qutubshah (aq), was he above the darajah of 28th ad-Da'i al-Mutlaq Saiyedna Shaikh Aadam Safiyuddin saheb (aq) or below him? 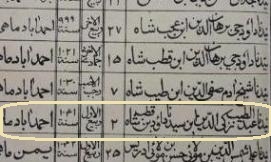 As mentioned in the book Muntaza' ul-Akhbaar, In the Tarteeb (hierarchy) of the Hudood of 27th Da’i ul-Mutlaq Saiyedna Dawoodji Burhaanuddin bin S Qutubshah (aq), Saiyedna Shaikh Aadam saheb is above Saiyedi Ameenji. So saying that Saiyedi saheb was Mazoon and Saiyedna Shaikh Aadam saheb was assigned this post after his said demise in 1013 AH is wrong. Q3 There is a controversy regarding the year of the intiqaal of Saiyedi Ameenji bin Jalaal (ra) as propounded by other Bohra communities – 1010 AH and 1013 AH. Which one is true? 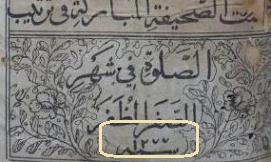 A Risaalah "Ne'm ul-Sibghat il-Ilaahiyah" written by Taahir Saifuddin and printed in 1371 AH mentions the date of Intiqaal of Saiyedi Ameenji saheb as 13 Shawwaal 1010 AH, while on the Qabr Mubaarak the year is 1013 AH. Which one is correct is not known. Mystery is that none is correct. The correct year of intiqaal is 1031 AH. Q4 Surprisingly, in the Qubbah Mubaarakah of Saiyedi Ameenji bin Jalaal (ra), the Taqtee’ – Lawhato Ra’s il-Qabr near the Ra’s Mubaarak reads “Mazoon ud-Da’wat” and the name plate over the Qabr reads “Mukaasir ud-Da’wat”? Which one is true? Q5 If we regard the year 1010 AH or 1013 AH to be true of the demise of Saiyedi Ameenji bin Jalaal (ra) then, in the ar-Resaalat ul-Kabeerat ul-Jadeedah it is narrated that Saiyedi Ameenji bin Jalaal (ra) stood witness for the Nass on ‘Abd ut-Taiyeb Zakiyuddin and was sent to take Misaaq of Bohras in different Dholka and Khambhaat by his orders. 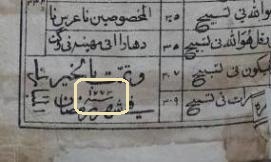 If this account is true then it proves that Saiyedi Ameenji bin Jalaal (ra) was alive even after 1030 AH? Also ‘Abd ut-Taiyeb Zakiyuddin ordered him to compose a Qaseedah in his praise. If these accounts of ar-Resaalat ul-Kabeerat ul-Jadeedah are true then how is it possible that Saiyedi Ameenji bin Jalaal (ra) died in 1010 or 1013 AH? 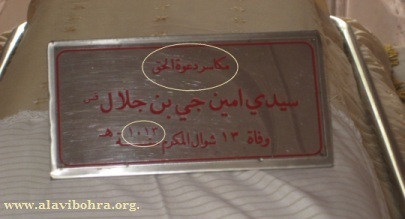 Q6 The marble Taqtee’ on the Qabr Mubaarak is with the date 13 Shawwaal but without the year of the death and it seems from its existing ‘ibaarat (text) that it has been deliberately erased. Is it an evident attempt to hide the real year of his intiqaal? 1. Saiyedi Ameenji saheb (ra) remained witness to the Nass of 3 Du’aat i.e. 27th Da’i ul-Mutlaq Saiyedna Burhaanuddin Dawoodji bin S Qutubshah saheb (aq) in 997 AH, 28th Da’i ul-Mutlaq Saiyedna Safiyuddin Shaikh Aadam bin S Taiyeb shah (aq) in 1021 AH and 29th Da’i ul-Mutlaq Saiyedna Shamsuddin ‘Ali bin S Ibraahim Shaheed Aa’zam (aq) in 1030 AH in Ahmedabad. 2. 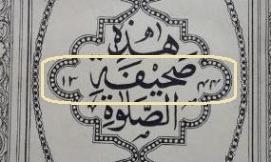 There are two rutbah after the status of Da’i ul-Mutlaq, the rutbah of “izn” (the person on this rutbah is called Mazoon) and the rutbah of “kasr” (the person on this rutbah is called Mukaasir). 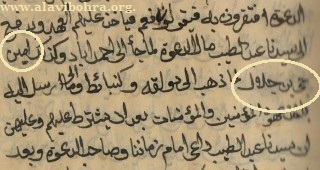 Mazoon once assigned the rutbah of “izn” is never degraded to Mukaasir. But Da’i ul-Mutlaq, could confer upon the Mukaasir of his time, the higher rutbah of Mazoon. “Lama’az Ziyaao Lumoo’a Noorin Baahir” which means, "The Face of Da’i uz-Zamaan has the shimmering light with the Radiance of Brilliant Noor". Da’i uz-Zamaan is Saaheb ul-Hille wal 'Aqd and has complete discretionary power to raise and lower anyone from his Hudood irrespective of the will or Da’wat hierarchy of his predecessor. 4. 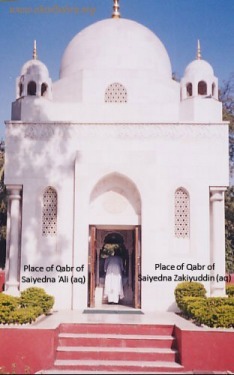 Saiyedi Ameenji saheb (ra) was Mazoon till his iltiqaal on 13 Shawwaal 1031 AH during the Da’wat of Saiyedna ‘Ali saheb (aq) and 30th Da’i ul-Mutlaq Saiyedna Zakiyuddin Taiyeb bin S Shaikh Aadam saheb (aq) was Mukaasir. After the intiqaal of Saiyedi Ameenji saheb (ra), 30th Da’i ul-Mutlaq was elevated to the martabah of Mazoon. 1. Masaa’il-e-Saiyedi Ameenji bin Jalaal: Depending on the books of Isma’ili Jurisprudence written by Saiyedna Qaazi No’maan saheb (aq) around 350 AH, Saiyedi saheb wrote answers methodically of numerous Fiqhi Masaa’il – Question asked focusing on different condition of Indian Subcontinent, which otherwise not found among the living habits of Arabs. He never answered by himself but by asking Da’i uz-Zamaan, be it the ta’eed of 26th Da’i ul-Mutlaq Saiyedna Burhaanuddin Dawoodji bin S ‘Ajabshah saheb (aq) or 27th Da’i ul-Mutlaq Saiyedna Burhaanuddin Dawoodji bin S Qutubshah saheb (aq) or 28th Da’i ul-Mutlaq Saiyedna Safiyuddin Shaikh Aadam bin S Taiyeb shah (aq). This is the clear proof that he was still there during the Da’wat of Saiyedna Safiyuddin saheb which is between 1021-1030 AH. 2. Hisaab ul-Miraas: This books contains the Shari’ah rules pertaining to the Inheritance. How a mumin should come to the Da’i uz-Zamaan and take directions in distribution of his wealth among his heirs. 3. Different Epistles (risaalah) containing the simple understanding of various books of Haqaa’iq. For eg. He wrote a beautiful insight on the book “al-Iftikhaar” of Saiyedna Abu Ya’qoob as-Sijistaani saheb (aq). Authentic and undistorted factual narrations are aplenty in the Kutub of the Nass propagated on 29th Da’i ul-‘Alavi al-Faatemi ash-Shaheed Saiyedna ‘Ali saheb (aq) by his grand-father 28th Da’i ul-Mutlaq Saiyedna Shaikh Aadam Safiyuddin saheb (aq). 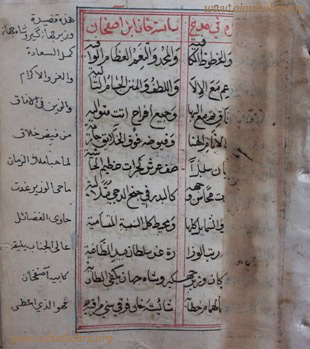 These books are preserved in the ad-Da’wat ul-‘Alaviyah Library. 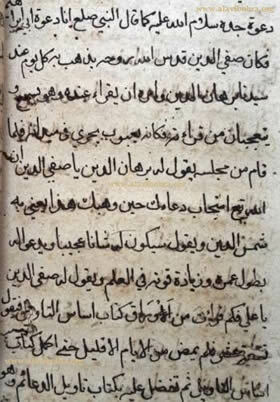 Above is the image of a page of one such Manuscript which narrates sequential events about the Haqqaaniyat of the Nass on Saiyedna ‘Ali saheb (aq). History has been fabricated and manipulated by other communities to such an extent that no one can get to the nucleus of the events that happened during 1030 AH. 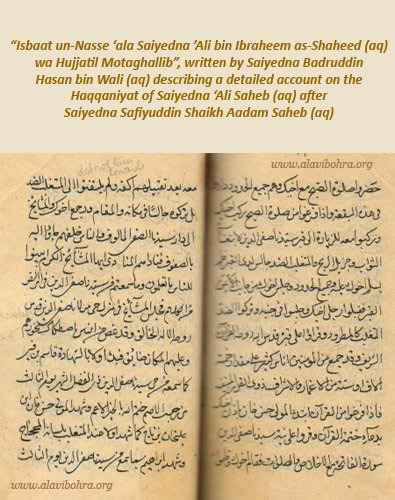 The above text of the Manuscript highlights the Fazeelat and Martabat of Saiyedna ‘Ali saheb (aq) during the time of 27th Da’i ul-Mutlaq Saiyedna Burhaanuddin Dawoodji bin Saiyedi Qutubshah saheb (aq). 28th Da’i ul-Mutlaq Saiyedna Shaikh Aadam Safiyuddin saheb (aq), who paid visit to Saiyedna Dawoodji saheb (aq) everyday for istefaadah-e-‘ilmiyah, taking along with him Saiyedna ‘Ali saheb (aq) on several occasions. 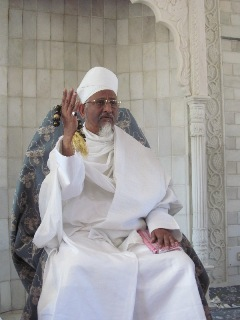 One day Saiyedna Dawoodji saheb (aq) told Saiyedna ‘Ali saheb (aq) to read the text of the book “Ta’weel ud-Da’aaim”. He was left spellbound on listening to the flawless recitation of the text of the Kitaab and its comprehension. Saiyedna Dawoodji saheb (aq) did the Du’aa for Saiyedna ‘Ali saheb (aq) for his ‘Umr daraazi-long life and rise in the Darajaat of ‘Ulomm-e Da’wat. In the same text, it is narrated that at very early age Saiyedna ‘Ali saheb (aq) had an unparallel command over the Kutub-e-Da’wat like “Asaas at-Ta’weel” and “Ta’weel ad-Da’aaim”. Abd ut-Taiyeb Zakiyuddin, son of 27th Da’i ul-Mutlaq was nowhere near the high standard of ‘Uloom-e-Da’wat of Saiyedna ‘Ali saheb (aq). Even Saiyedna Dawoodji saheb (aq) was aware about this fact. And this was the only reason why he preferred Saiyedna Safiyuddin saheb (aq) on the sublime Maqaam of Da’i ul-Mutlaq and propagated Nass-e-Jali on him. If at all his son Abd ut-Taiyeb Zakiyuddin deserved the qualities of becoming a Da’i (with respect to the ‘Uloom-e-Da’wat), Saiyedna Dawoodji saheb (aq) would have directly done Nass on his son with the fact that at the Intiqaal of Saiyedna in 1021 AH his son was not a neophyte but 49 yrs of age. It is the Itaa’at, ‘Inaayat, acquisition of the ‘Uloom-e-Elaahiyah and Nass which makes one liable to become a Da’i – and not mere being a son of a Da’i. Huzoor-e-‘Aali Saiyedna saheb (tus) has said in his Bayaan several times on various occasions, ‘O Mumineen, people on the path of Haqq never needs to prove their Haqqaaniyat and Truthfulness.’ Ameer ul-Mumineen Maulaana 'Ali (as) was on the path of Haqq. He is the Wasi of Rasoolullaah (saws) – not by himself but by Allaah Ta’aala. There was no need for him to prove among the people that he is the Wasi of Rasoolullaah (saws) – the fact which was known to the people during the time of Rasoolullaah (saws). Even though very few believed in the Wasaayat of Maulaa 'Ali (as), the paucity or the number of people following him did not annul his Martabah. Huzoor-e-‘Aali Saiyedna saheb (tus) emphasizes in his Bayaan that it is the Barkat and Rahmat of Allaah that we are been bestowed with the Noor of Two 'Ali : Maulaana 'Ali (as) and Saiyedna 'Ali (aq) – the 29th ad-Da'i al-Alavi al-Faatemi and the first Martyr of Ahmedabad. We don’t need to prove ourselves and our Haqqaaniyat in front of anyone. Why should we? Because it is the Ne’mat of “Haqq ni Nass” done on Saiyedna 'Ali (aq) by 28th ad-Da'i al-Alavi al-Faatemi Saiyedna Shaikh Aadam Safiyuddin Saheb (aq) which is from the amr of Allaah and ilhaam of Imaam uz-Zamaan. We have exercised patience and remained silent till now. Because it is the Sabaq given to us by Saiyedna 'Ali (aq) in the Wiraasat. Saiyedna 'Ali (aq) has taught us to defend ourselves in the demanding time. We have never learned to offend anyone just to fulfill unrealistic aims and prove false claims. Maulaana 'Ali (as) remained silent in Madeenah till 36 AH. He never uttered a word or unleashed his Zulfeqaar, but when Zulm crossed its limit he has to fight back to save the Daulat of Imaan and Islaam. He then fought Jamal, Siffeen and Naharwaan – to protect the Deen of Allaah. Many erroneous and doctored reports and baseless narratives have cropped up since last 2 months regarding the Haqqaaniyat of the 29th ad-Da'i al-Alavi al-Faatemi Shaheed-e-Aa’zam Saiyedna 'Ali bin Saiyedi Ibraahim (aq) in the form of websites, press releases, text messages, audio and video clips etc on the internet and mobile platforms alike. We do understand that certain communities outside of Alavi Bohras do not hold this view point and we do not mean to offend them in any way. Let them quote from their sources to prove their beliefs. We are free to quote from our sources and bring forth unheard facts about the history. It is incumbent upon us to highlight the few historic facts which have been doctored and manipulated by non-‘Alavi people with the passing time. Insha Allaah, in the coming days we will highlight the Martabah and Fazeelat of Saiyedna 'Ali (aq) during the time of 27th ad-Da'i al-Mutlaq Saiyedna Burhaanuddin Dawoodji bin Qutubshah (aq) and 28th ad-Da'i al-Mutlaq Saiyedna Shaikh Aadam Safiyuddin Saheb (aq). The facts which we will highlight in the coming days, Insha Allaah, will be the excerpts taken from the original manuscript of the Resaalah of the Nass-e-jali on Saiyedna 'Ali saheb (aq) written to the ‘Alavi Mumineen residing in the Nadiad City around 1030 AH. We will also quote from the original manuscript the facts of Nass done on Saiyedna 'Ali (aq) by his grand-father Saiyedna Shaikh Aadam Safiyuddin Saheb (aq) in the month of Rajab 1030 AH. We will also bring forth the Martabah and Fazeelat of Saiyedna 'Ali (aq) during the time of 27th and 28th ad-Da'i al-Mutlaq narrated lucidly in the Resaalah written by the 31st ad-Da'i al-Alavi al-Faatemi Saiyedna Badruddin Hasan bin Saiyedi Wali saheb (aq) in Ahmedabad after his return from Lahore and the Shahaadat-e-‘Uzmaa of Saiyedna 'Ali (aq). Maulaa Muqaddas in his “Diwaan-e-Hasan” brings the minutest details of the historic events that unfolded after the Shahaadat of Saiyedna 'Ali saheb (aq) in form of poetry (nazm). Historical facts narrated should always be authentic, undistorted and narrated by the one who is the witness to the events or the one who belongs to its nearest period. It is useless to quote the incidents which occurred between 1030-1046 AH and quoted in the book written around 1231 AH. The Akhbaar book under question contains distorted and false accounts of Historic episodes as the writer didn't had the primary sources which could have furnished him with right inputs and unbiased accounts. But this never happaned and the people till today followed it blindly and were wrongfully carried away by their history. Abd ut-Taiyeb Zakiyuddin, son of Saiyedna Burhanuddin Dawoodji bin Qutubshah (aq) who claimed to be the Da'i died on 2nd Rabi ul Awwal 1031 AH during the Da'iship of Saiyedna 'Ali saheb (aq). 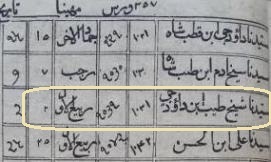 This date is confirmed in the following images taken from 4 different Sahifah printed by various Bohra publishers in which first 3 fall in a stretch of 21 yrs i.e. in 1273 AH, 1277 AH and 1294 AH. Interestingly, after 50 years this date was changed to 2nd Rabi ul Awwal 1041 AH mentioned in the last Sahifah printed in 1344 AH . This manipulation negates and nullifies some historic narrations given against the Haqqaaniyat of Saiyedna 'Ali saheb (aq) elsewhere on the internet and electronic media. Copyright © 2017 Alavibohra.org. All rights reserved.